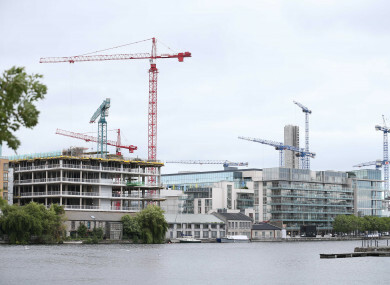 Poll: Do you welcome new hotels being built in Dublin? A number of plans for new hotel developments in Dublin have been announced in recent months. FÁILTE IRELAND HAS welcomed the news that a long-vacant site on George’s Street has been cleared for redevelopment as a hotel and retail complex, as reported by Fora.ie last week. It was reported yesterday that plans have also been lodged for a €35 million development, including a new 117-bedroom hotel, on Dublin’s Dawson Street. A number of other hotel developments in the capital have been announced in recent months. The news of the George’s Street development received some criticism on social media. So, today we’re asking: Do you welcome new hotels being built in Dublin? Email “Poll: Do you welcome new hotels being built in Dublin?”. Feedback on “Poll: Do you welcome new hotels being built in Dublin?”.